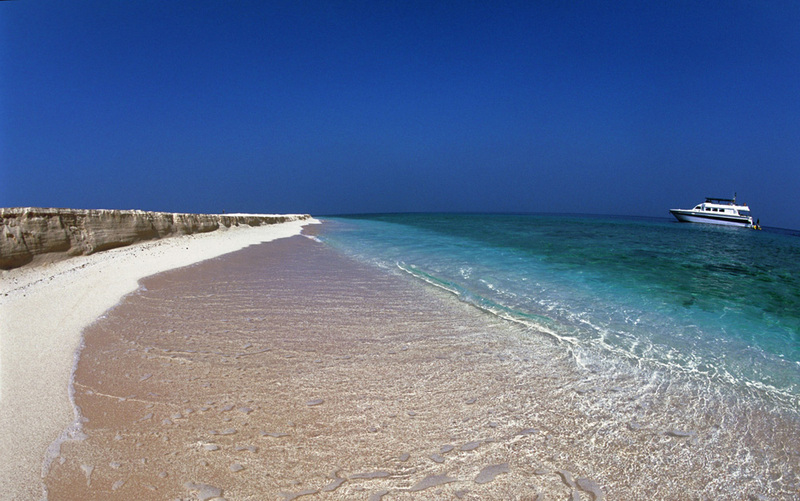 The Farasan Islands are a large coral-island group in the Red Sea, belonging to Saudi Arabia. The islands are located some 40 km offshore from Jizan, in the far southwestern part of the country, at 16°48′N 41°54′ECoordinates: The largest island of the archipelago is Farasan Island; others include Sajid Island and Zufaf Island. The climate in the Farasan Archipelago is characterised by a long hot season (April- October) and a short mild one (November -March). In the long dry period high temperatures are usually dominant. The mean annual temperature is 30 C. Furthermore, the mean relative humidity in winter ranges from 70% to 80% and in summer between 65% and 78%. The highest rainfall occurs in April and the precipitation is generally unpredictable in the southern part of Red sea.